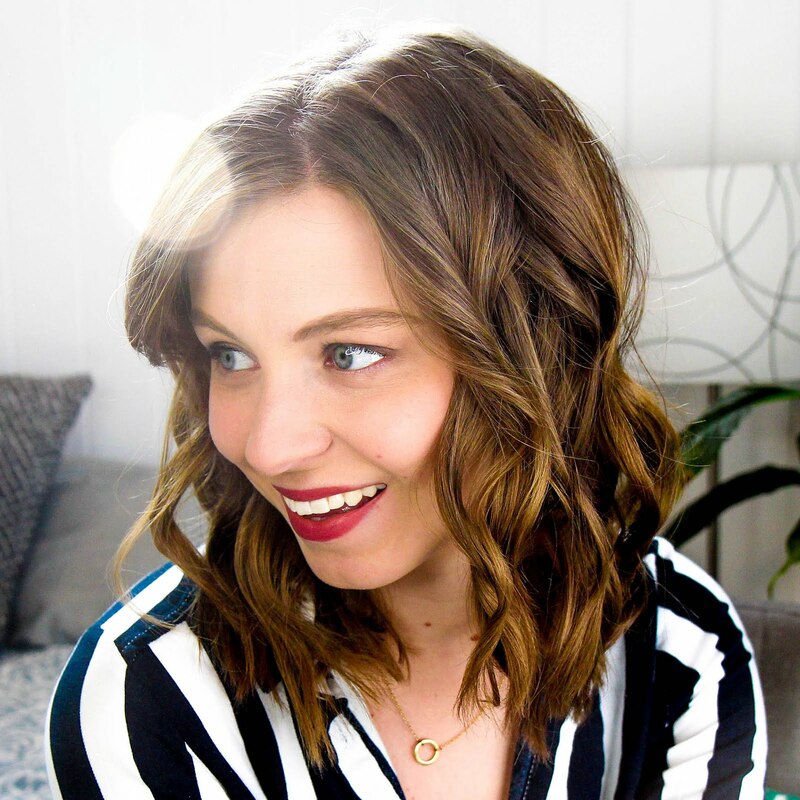 You'd think with planning being such a huge part of my personal and professional life I'd talk about it more on this blog, and yet I've somehow managed to avoid it almost completely these past few months. A change is definitely in order as it is such a large portion of my day to day activities. What better way to dive into planner blogging once again than talking about my essentials? I'm such a huge fan of the Craftedvan magnet bookmarks that they're the only page holders I use. I've tried paperclips and other options since the planner world is filled with really awesome designer clips, but nothing beats these. I have quite the collection from Craftedvan (any interest in a collection post?) and I love how they tuck into the planner so I don't have to worry about them catching on anything. The magnets are strong and the "jumbo" size is perfect for Erin Condrens. It's not too large, but you can still appreciate it. 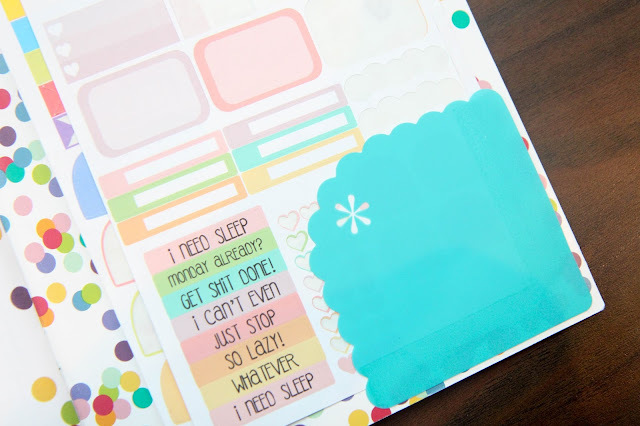 Erin Condren recently released the StylizedSticky Corner Pockets and they've become a fast favorite in my planning arsenal. They're sticky on two edges making a cute little pocket you can pop on any notebook or journal. I like to use them to store a few most-used sticker sheets in the back of a few of my various notebooks. They're super affordable for the amount you get and I love that I no longer have to worry about papers flying out of notebooks if I reach for one too quickly. Now of course stickers are a must, but I find what they're stored in to be almost as important. 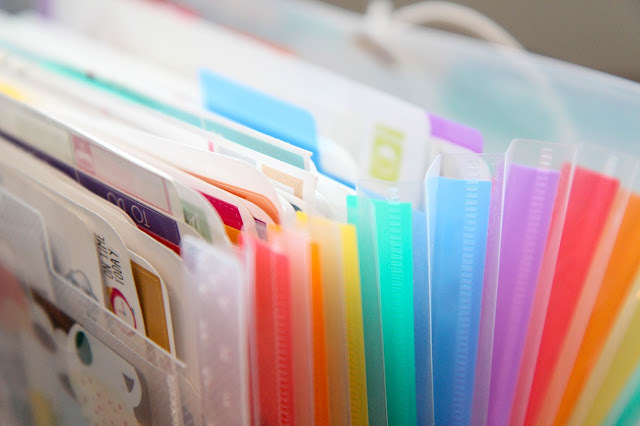 I've definitely tried my fair share of organizational methods, but the accordion file (this one is from the Container Store) is the way for me. I divide my stickers up into categories and can easy riffle through them, show them on camera, and rearrange if I change my mind. I love the size of this particular accordion file because I can easily pop it into a tote bag and carry literally every sticker I own around with me. 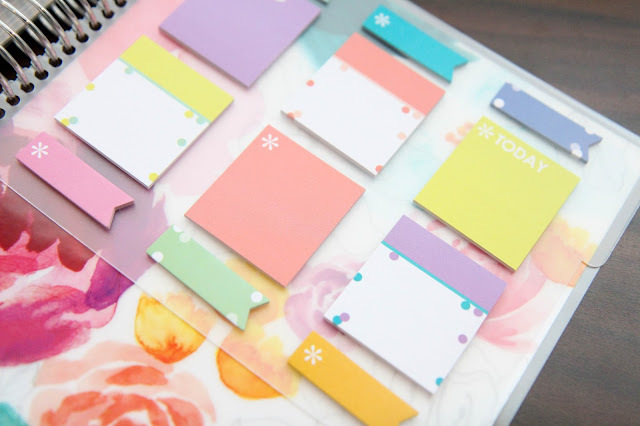 Pre-planning is a big part to my whole planning process and the Erin Condren Stylized Sticky Notes are my favorite things to use to jot down future appointments and events. 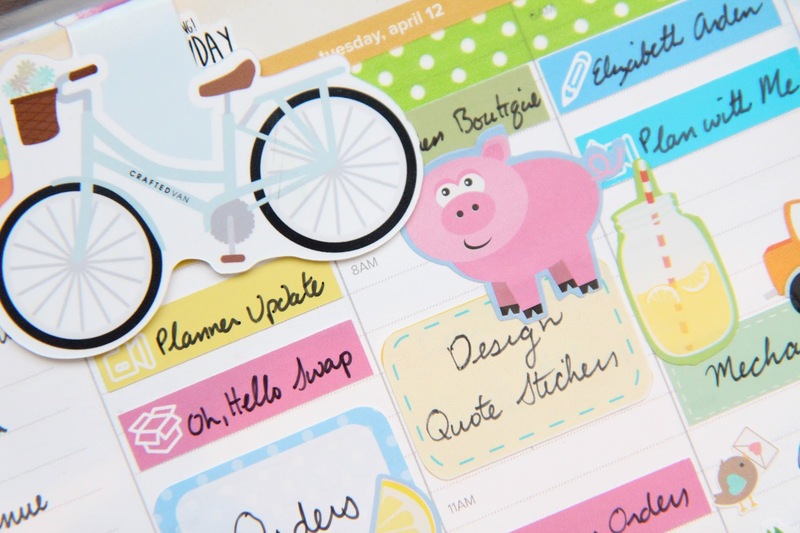 They fit perfectly in any Erin Condren planner and pop onto the coil so they're always close at hand. They aren't super sticky, but since I use them just to prep for putting stickers down it doesn't really bother me. What planner supplies are your essentials?